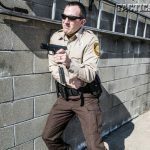 Lifesaving survival tactics to keep your pistol running with just your support arm when wounded! Step 1. If your primary weapon arm is incapacitated, use your support arm to drop the empty magazine. Step 3. Pull a fresh magazine and insert it into the empty pistol. You now are free to draw the pistol and release the slide, preparing it for action. 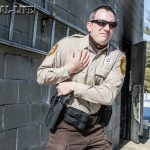 I had only been a firearms instructor for about a year when an individual murdered two state police troopers in New Hampshire, my home state. On August 19, 1997, Trooper Scott Phillips had pulled over an individual for a motor vehicle violation. During that stop, the individual shot Trooper Phillips with a semi-automatic rifle. Although Trooper Phillips was able to return fire with his pistol, he was wounded in the hand. When Trooper Phillips had emptied his pistol’s magazine, he was unable to reload due to his injuries. Trooper Leslie Lord arrived on the scene unaware of what had occurred and was shot and killed before he could exit his cruiser. The individual then returned to Trooper Phillips and executed him with four rifle rounds at close range. I looked at my own firearms training and realized that I did not have the necessary skill set to prevail in such a situation. It was a deficiency that I corrected as soon as possible. In this article, I am going to address the worst-case scenario: what to do if your primary hand is incapacitated. Most shooters with a defensive mindset recognize the need to train in shooting with only the support hand. However, many will accomplish this by administratively passing the pistol from the primary to the support hand. If the primary hand is still in a condition where it can pass the pistol to the support hand, then the pistol can stay in the primary hand. I am going to discuss methods of drawing, reloading and clearing malfunctions with only the use of the support hand. With any of these techniques, it should be assumed that the options of escape and taking cover will be exercised when possible. 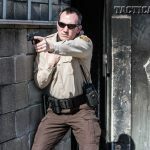 The following techniques should be practiced and mastered with an unloaded pistol and dummy rounds before attempting them in live-fire. 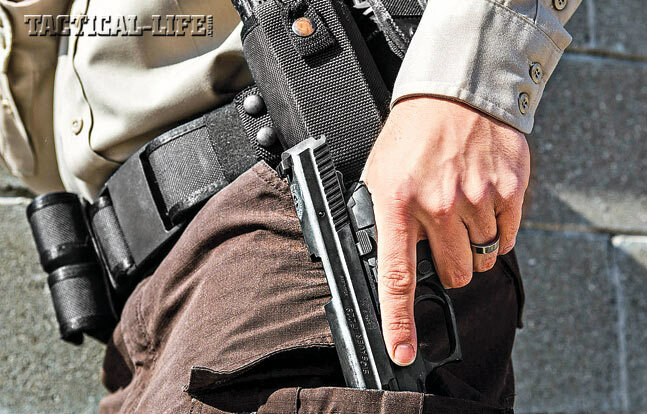 First, what do you do if your primary hand is incapacitated and your pistol is in your holster? 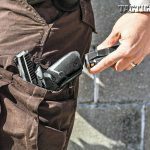 The simplest answer would be to access your backup handgun, which is kept on your support side, but that is the subject for a future article. 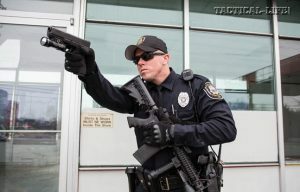 I am going to assume that we are carrying a single pistol on our belt for primary-hand access. 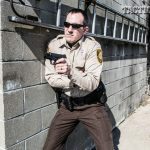 For a person carrying a pistol at the 3 o’clock position on the right hip (or at 9 o’clock on the left hip if you are left-handed), reaching across the front of your body is usually the best method. 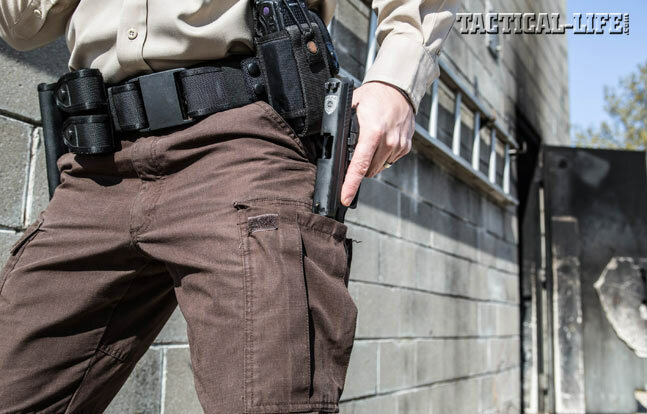 If the holster has any retention devices, the support hand first must defeat those. Next, the support hand grasps the pistol in a reverse grip, with the pinky finger closest to the triggerguard. 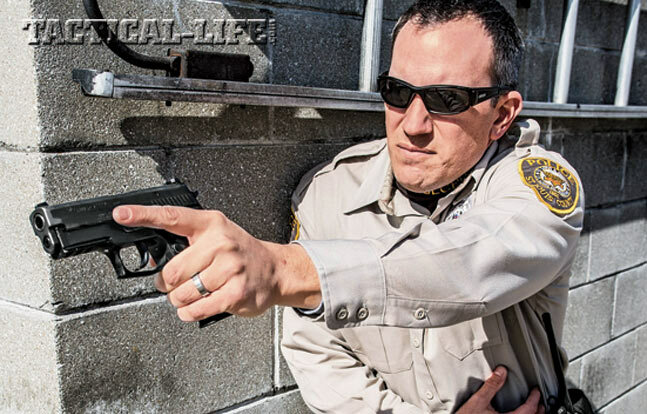 Remove the pistol from the holster—just high enough to start to pivot the pistol. 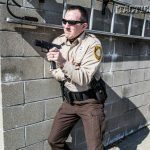 The goal is to pivot the bottom of the grip forward so the support hand can grasp the grip of the pistol and draw in a crossdraw manner. 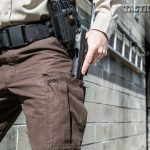 By not completely removing the pistol from the holster, we have an additional point of contact with the pistol as the slide is pivoted against the body. 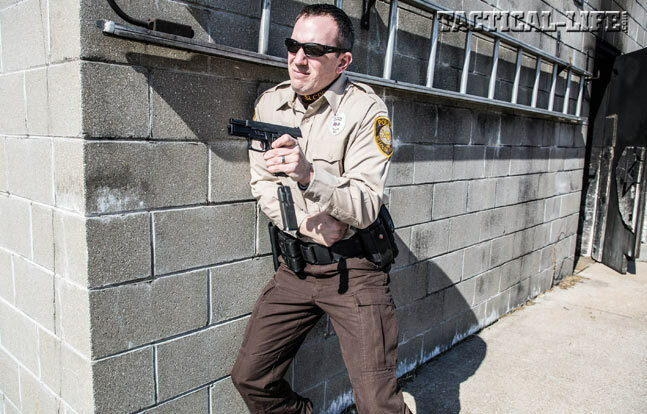 This same technique can be utilized, and is easier to perform, if the pistol is being carried forward of the hip in an appendix carry holster. Step 2. 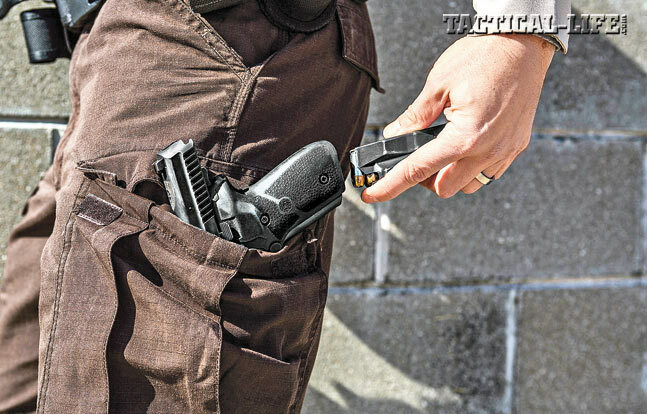 With the magazine cleared from the pistol, now move to stow the handgun in an accessible support-side pocket to facilitate a reload. Once the pistol is accessed, we can utilize those support-hand-only shooting skills we have been practicing. But it won’t be long before it is time to reload the pistol. Reloading is complicated by the fact that we need our support hand to access a spare magazine, so we have to find somewhere to secure the pistol. During a normal two-handed reload, I prefer not to dump the empty magazine until I have the new magazine ready to insert into the magazine well. However, since I will not have a hand on the pistol to eject the magazine once the pistol is secured, I must eject the magazine first. Next, I have to secure the pistol. If I am standing, a support-side pocket is my first choice; the belt line in that area is also an option. 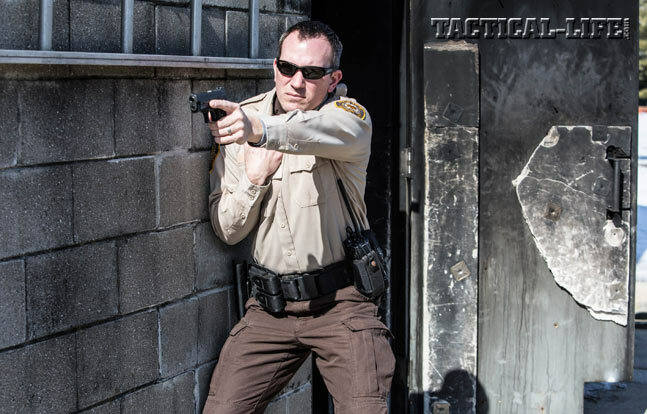 If the direction of the muzzle is a concern, you can kneel on your support side and trap the pistol behind the back of the support-side knee. 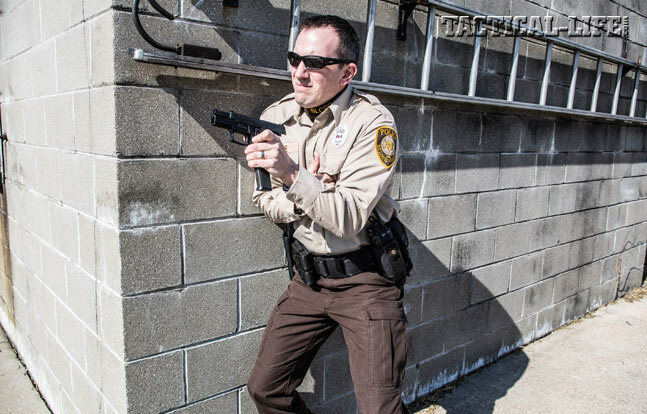 Done properly, the muzzle of your pistol will cover no part of your body, but you do lose the ability to move quickly without losing the pistol. Once the magazine has been inserted into the pistol, regain control of the pistol with your support hand and bring the slide forward. Depending on the location of the slide-catch lever, this may or may not be an option. I prefer the technique of hooking the rear sight onto the belt or another piece of gear to slingshot the slide forward. 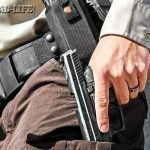 This technique works on any semi-automatic pistol, regardless of the location of the slide-catch lever, and reinforces techniques necessary for clearing malfunctions. (Manipulating the slide-catch lever will not clear malfunctions.) If you are reloading from a kneeling position, the support-side shoe heel can also be used to manipulate the rear sight or the front of the slide to bring the slide into battery. 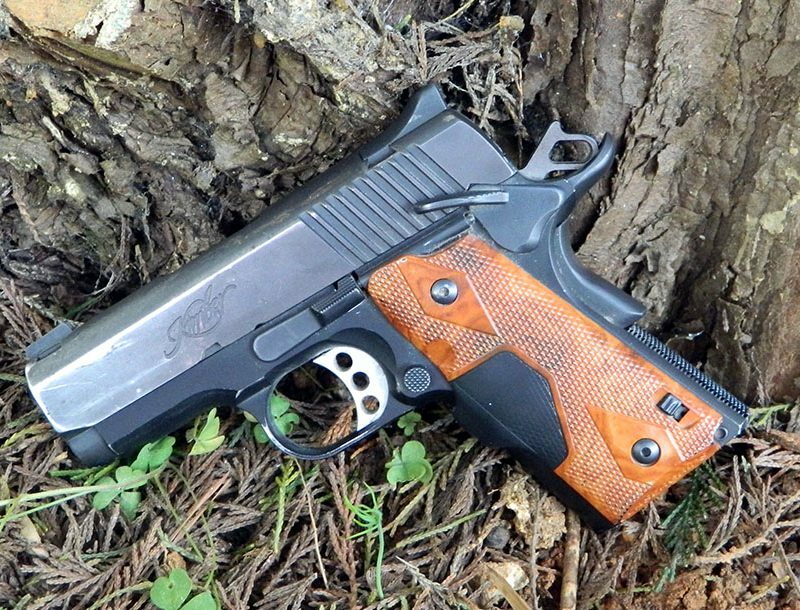 For pistols with low-profile rear sights, such as some designs by Novak, a piece of grip tape along the top of the slide can provide enough friction to slingshot the slide. It’s not pretty, but it’s functional. Malfunctions can also be cleared with the support hand. 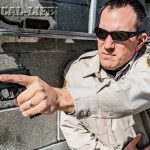 The most common types of malfunctions can be cleared by tapping the magazine’s floorplate on the hip or thigh, then racking the slide by hooking the rear sight in the same reloading method described above. 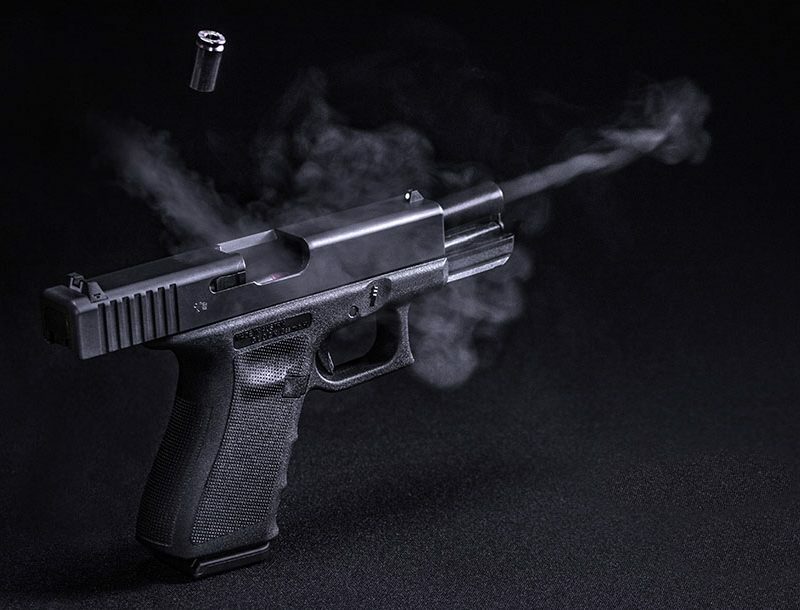 Take care to ensure the ejection port is clear while manipulating the slide to clear the malfunction because the round in the chamber will be ejected. If the round has no place to go, or if it bounces off a part of the body and back into the ejection port, it will cause further problems. 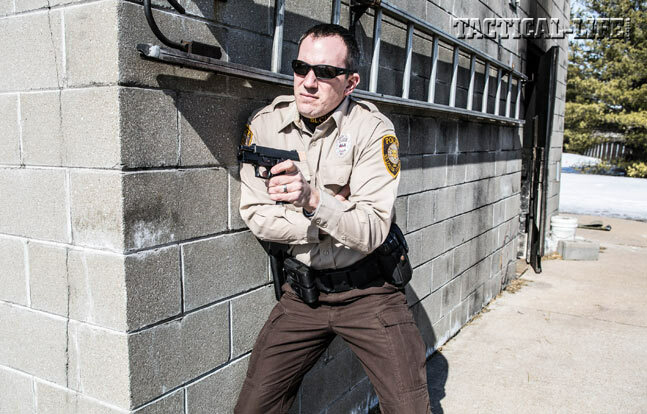 Shooting with the support hand is a necessary skill, but shooting is only part of running a pistol when the primary hand becomes incapacitated. With your support hand, you must also know how to draw the pistol based on the carry position of the pistol and your particular body type. 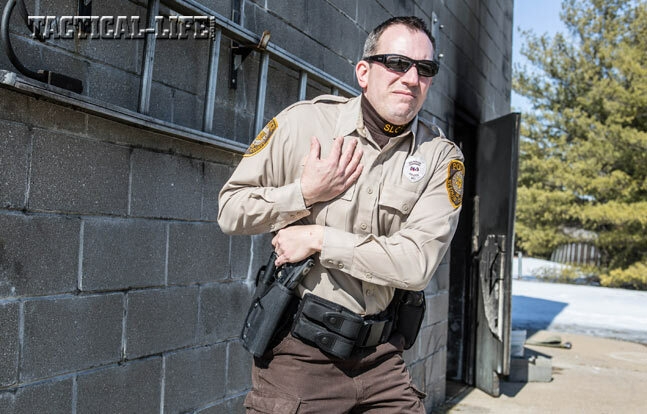 In training for the worst-case scenario of primary-hand incapacitation, we must be able to reload and clear malfunctions one-handed to continue fighting in the face of adversity. With practice, we will have the confidence to stay in the fight, no matter how dire the situation.